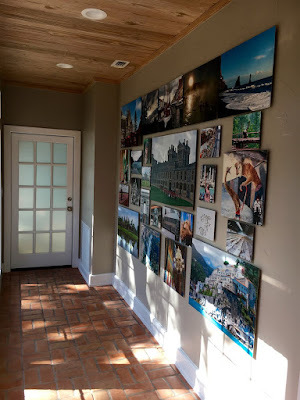 It dawned on me today I had never posted a shot of the finished travel pics wall in the remodel. This is one of my favorite things in the house right now. 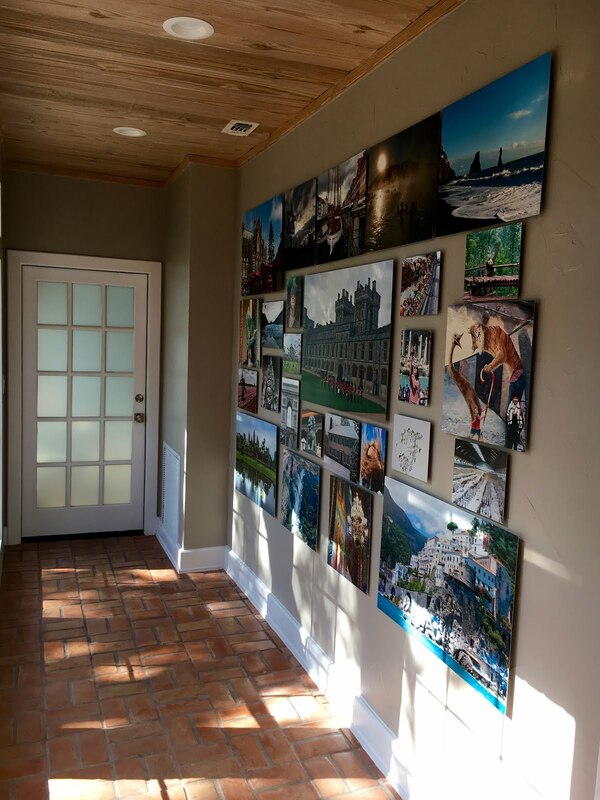 The pics come from family travel on three different continents. It's a bit of a conversation piece... in case we ever get the patio area put back together and can actually start entertaining folks.